'This handbook is written by an Undercurrents co-founder and covers not just the 'hows' and 'whats' of video-activism, but also the vital 'why' question. Over a decade, we trace the pioneers of low impact living. Tony Wrench and his roundhouse radically changed a council's policy on rural housing. The journey expands to Crystal Waters Permaculture village in Australia, Sunseed Desert Technology centre in Spain, Findhorn spiritual community in Scotland, Ireland's first Ecovillage and meets the Tinkers Bubble and Kings Hill communities in Somerset. 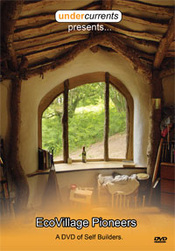 The film weaves in the progress of Lammas - the first planned Ecovillage to be developed in England and Wales. An incredible occurrence as horses put themselves in front of the chainsaws to save ancient oak trees. A-Z of Bushcraft & Survival displays the art of living and learning in the natural environment. Reviewing modern equipment for the outdoors life in this series of Bushcraft videos, Andrew Price demonstrates how to feel at home within woodlands, wilderness and coastal regions. He will show you how to develop a wide range of skills and knowledge that would have been second nature to our ancestors. 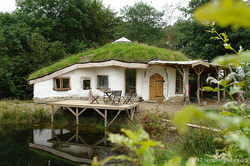 In this 85min film which Undercurrents produced, Ben Law gives you a step by step guide on how to build your own home. 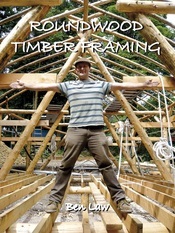 He takes you through the design techniques and build of a roundwood timber framed building. Other examples of Ben’s builds are also explored: the Lodsworth Larder (a roundwood built shop in his own village), his own workshop and his own home (made infamous by Channel 4 Grand Designs)– the Woodland House. 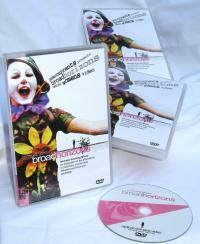 Broad Horizons is a DVD compilation of animations, documentaries and short films made by women. Includes Evolving Minds (45mins) which offers a fresh and radical perspective on alternatives to the mental health system. Presenting clear information in a humorous style it covers diverse topics such as shamanism, nutrition, psychotherapy, meditation and protest against draconian mental health legislation. 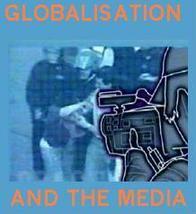 Globalization & the Media (24mins) is an award winning documentary exploring the role of the mass media during the War on 'Terror' & Economic trade. Consider a wide range of viewpoints from mainstream news editors, computer hackers, journalists and media activists. Discover how new technology, such as the Internet and camcorders, are challenging the role of the traditional news gatherer. Reach for the Sky (40mins) A documentary exploring the growing activism against Governments plans to expand nearly all British airports despite the growing threat of climate change. The M11 link road protest was a major anti-road protest in east London in the early 1990s opposing the construction of the "A12 Hackney to M11 link road", also known as the M11 Link Road. Although the protest was unsuccessful, it sparked a massive opposition to the government's road building programme.The story of direct action campaign to stop the M11 link road destroying the East London communities of Wanstead & Leytonstone. A poetic tale of nine families as they create beautiful natural homes and plentiful gardens from sheep-grazed soil in Wales. In the face of legal battles and local hostility, they live with an ongoing pressure meet their targets and show success for the UK’s first planned ecoVillage, Lammas. Under a new planning directive, Pembrokeshire Local Authority released Policy 52- which allowed for low impact development under certain strict rulings. The houses were to be built from sustainable resources and the residents were to glean 75% of their household needs from the land.